In a four-story, 132,000-square-foot state-of-the-art building at M.D. Anderson Cancer Center in Houston, some of the top researchers of the world are focused on one goal- fulfilling the promise of individual cancer care. Ultimately, they hope to find a cure for the deadly disease. Using cutting edge technology, they are developing a revolutionary cancer treatment by analyzing the changes in genes and proteins that distinguish cancer cells. This ground-breaking research would not be possible without the generosity of Ali Saberioon and his wife Gita, who in 2005 donated $10 million to the research initiative. In recognition of their contribution, M.D. Anderson has named its Molecular Markers Research Building in their honor. One journalist described Ali Saberioon as "a humble man with a huge heart." Saberioon emigrated to the U.S. with his family in 1976. He credits his parents with instilling the values of community and benevolence in him. "They taught us to be grateful for what we have because there are always many others who would wish they had the means that God has bestowed upon us. They also taught us to share what we have in order to multiply the grace and the blessings of God," he says. With a strong entrepreneurial spirit, after completing his B.S. and M.S. degrees in petroleum engineering, he ventured into several start-up companies. As President and CEO of Sabco Oil and Gas, he succeeded in expanding his one-man company from less than $1 million market value into a mid-size independent firm with upper nine figure market value. Today Sabco has a staff of 24 professionals, and operates both onshore and offshore sites. Since their college days, Ali and Gita have embodied the spirit of philanthropy. "My wife and I have been involved in charitable efforts since our college years when our financial means were very limited at best," he says. "Today, we can spend our assets in ways that impact humankind more effectively. During our college years, my wife and I chose total anonymity when supporting these causes and those less fortunate." Saberioon is a Trustee of Baylor College of Medicine, Trustee of Rhodes College and Vice-Chair of M.D. Anderson Board of Visitors. 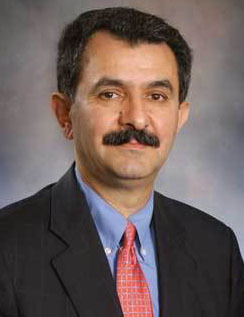 He also serves on the board of Asia Society, Huffington Aging Center at Baylor College of Medicine, Houston Downtown Park Corporation, University of Texas Health Science Center, the Encyclopedia Iranica Foundation at Columbia University, Houston Community College System Foundation, and Coalition of Persian Charitable Organizations, and is the chair of Iranian Cultural Foundation-Houston. He is the recipient of the prestigious University of Houston Law Center Arrival Awards recognizing the successes and benefits that immigrants bring to the nation, the 2007 Asian American Leadership award, and the 2007 Ellis Island Medal of Honor. In October 2007 PARSA Community Foundation honored Saberioon with its first annual Philanthropist of the Year Award. Less than a month after an earthquake leveled Bam and killed thousands in 2003, Saberioon organized a grass-roots relief effort in Houston, raising funds to rebuild schools, hospitals and housing. He is the founder and major contributor of the Iranian Medical Relief Foundation (IMRF), a charitable non-profit organization in Houston dedicated to helping needy people. Ali and Gita are founders of the Iranian Referral Center and directors of the Society of Iranian Professionals in Texas. "My wife and I are extremely fortunate to be able to give back to our community. We are a lucky couple and feel blessed to be a vehicle to help others," Saberioon says.